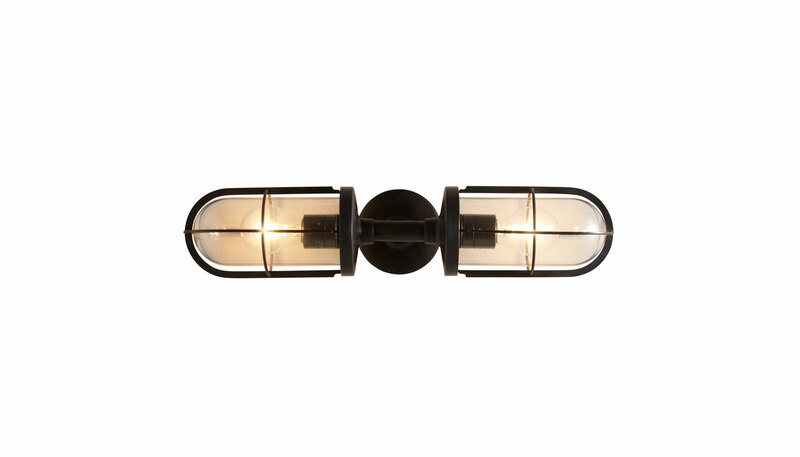 The Weatherproof Ships Double Well wall lamp is constructed of weathered brass and has a clear glass shade. It is UL listed and requires two E26, 100 watt max light bulb. (Bulbs are not included) Manufactured by Original BTC.